How to look like a hobbit. 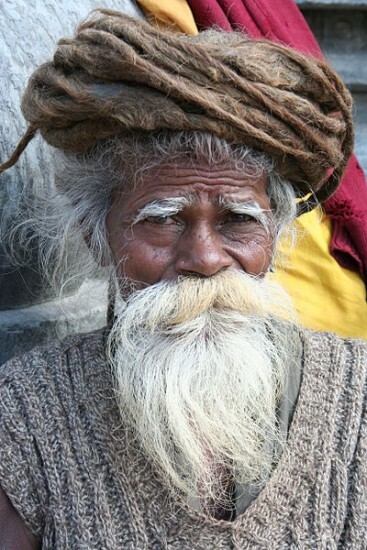 This guy has some good facial hair. Can’t wait to see The Hobbit? Then become a hobbit yourself and simply take a look in the mirror! Show up at the midnight screening as your favorite Tolkien character! How many others in line will resemble Bilbo Baggins? Here are detailed instructions on how to become a hobbit: from the clothing of the Shire to a hobbit pipe; to curled bangs, pointed ears and (of course) big furry feet. I’m not sure how you can become a halfling in stature, however. Perhaps you could be accompanied by someone who’s really tall. A real motel for hobbits. Are you short of stature and good-natured? Do you enjoy lots of food, lots of drink and good company? Do you have hairy feet? Do you like to live in a hole in the ground? 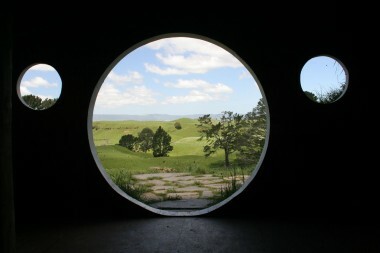 Well, if you’re travelling in New Zealand you’ll probably want to check into The Hobbit Motel. Seriously! The Hobbit Motel is fashioned to look like Bilbo’s and Frodo’s hobbit hole in Hobbiton in the Lord of the Rings trilogy. And the ceilings and doorways are appropriately sized! If you’re one of the big people, you might have to duck a bit. If you’re a tall specimen of the big people, perhaps you’ll have to crawl on all fours. But what fun!